Florian Kruse started his music career in 2007, with his first vinyl release on Stockholm’s Heya Hifi. Since then, Kruse has only grown as both a producer and a DJ. 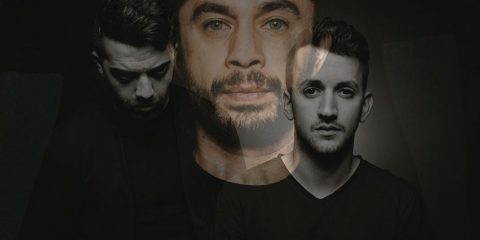 With Stel Vasiloudis and Nils Nuernberg, he became project Wiretappeur, with releases on Bedrock and a remix for label head honcho John Digweed. 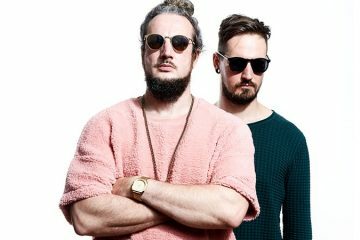 Nils Nuernberg quickly became his partner in crime, and together became the production duo Kruse & Nuernberg, their hypnotic Deep House sound making appearances on Liebe*Detail, Noir Music, and Rejected. In 2008 they started their own label, Save Room Recordings, that continues to grow on the underground scene. A focus now on his own productions, Florian Kruse plunged into a solo career with a release on Anjunadeep, working together with his older brother Vincenzo and one of his long time idols Lisa Shaw. 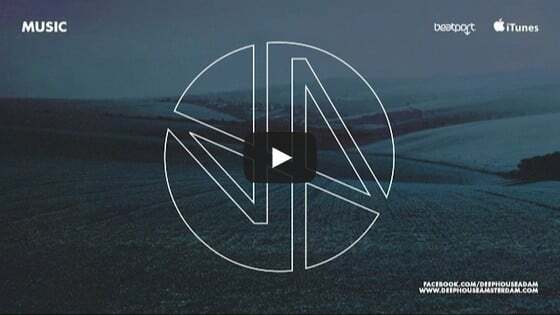 Followed by two releases on Noir Music together with singer Hendrik Burkhard and remixes by Noir himself, Eagles & Butterflies and Pleasurekraft. Now, Kruse & Burkhard return, this time on Steve Bug‘s famed Poker Flat Recordings, with their latest, entitled “Move in Slow Motion”. After last year’s “We Own The Night,” the duo continues the vibe with a main mix that exemplifies their masterful production skills. Dark and techy, the track builds and unfolds over seven glorious minutes. Out 12 February, we thought we would bring in Florian to provide a very special mixtape to coincide with the release, as well as picking his brain a bit regarding the creative process behind the Noir EP and his fruitful collaboration with Hendrik Burkhard. Your latest EP “We Own The Night” is your second collaboration with Hendrik Burkhard? How do the two of you collaborate on music? Can you walk us through the creative process? Correct, ‘We Own The Night’ is the second collaboration release with Hendrik on Noir Music. For the first track called ‘Skylines’, I had the musical playback finished already and sent it to Hendrik who then wrote and recorded some lyrics. That’s why we called it ‘feature’. For the title track ‘We Own The Night’ Hendrik and I spent a week together in a little holiday home by the sea in the very North of Denmark far away from our everyday life and in total solitude. We brought most of our equipment with us and built a little studio in the living room. Both of us arrived in Denmark with many ideas and some sketches and then worked on the actual tracks (yes, there’s more to come) together, which is why we decided to not call it a ‚feature’ this time, but have both of our names mentioned in the release title. During our Denmark-week we woke up early every morning, had coffee and then started working on music right away for many hours. It’s been such a productive and fun time that after 2 days we actually had finished a full track. To me that sounds totally crazy as usually I need way more time to produce, but turns out a silent place far away from any distraction can work wonders sometimes! This is also your 2nd release with Hendrik on Noir Music. What is the creative atmosphere of the label like? How does it coincide with your own philosophy towards creativity? Noir Music is one of my favorite labels for a long time now. In my sets you can find many of their releases, I really wanted to become part of the Noir family as I felt this label would be 100% the right place for me. Noir Music’s philosophy and the way Noir himself and his amazing wife Sisse run the label matches my own ideals of music and the music industry in man ways. Values such as creativity, respect, fairness, tolerance and most importantly the love and passion for music is something that we share and which plays a major role here. Over time Noir and I became friends and I can ask for advice anytime, knowing that I’d always get an honest feedback. A while ago he said: ‚You haven’t done your best music yet‘ which spurs me to get better and better at what I do every day. At this place – thanks Noir for all your help and support, this means a lot to me! I see that you took your creative process for “We Own The Night” to some secluded territory in Denmark. Why did you decide that this was the best approach for this EP? How was the experience? What do you think seclusion does for the creative process, in general? I always wanted to know what it’s like to do music far away from home and my everyday life, without all the beautiful distractions Berlin brings along. When I started working with Hendrik (who lives in Denmark) last year in September, he randomly mentioned that little house he had been to in the very North of Denmark. Plans were made quickly for that trip! And just like I mentioned earlier seclusion paired with beautiful nature and no distractions is the best recipe for staying focussed and being productive. On some mornings we started our day with a run to the sea, just sitting on the beach, breathing fresh air and watching the waves. We then came back to the house feeling charged up and totally balanced, for me personally that’s just the right energy I need to be creative and work on music. Can you tell us a bit more about the other music you created out there? The music we brought home from Denmark is for the deeper and more emotional moments on the dance floor, as well as for listening at home. Hendrik’s vocals usually dig quite deep in the meaning, carried by the music the mood of our productions is dark and driving. We signed another EP to Steve Bug’s Poker Flat Recordings which is out on February 12th. Joris Voorn also signed two tracks for his GREEN imprint – I am so excited and looking forward to what’s happening this year! What was your favorite part of the seclusion? I ask because, as a creative person myself (in screenwriting, though), I always long for that type of getaway, but sometimes I wonder if it is more romanticized than truly beneficial, so I have not yet “pulled the trigger” sort to speak. Haha, yes it’s true, sounds very romantic and believe it or not, it actually really is. Like I said before, I always wanted to do this but never did. My favorite part about it is, that you have that ‚holiday feeling‘ where you allow yourself to drink as much coffee as you want, have as many beers as you want, go to bed whenever you feel like, don’t set an alarm… you kinda lose track of time and relax, which is something I’d clearly not do at home as I of course try to have a relatively organized (work) life. And out of this totally relaxed holiday mode where your only task for the day is to make some music a nice energy and motivation emerges and somehow things happen naturally. I can only warmly recommend this to you, I personally have never been that creative before. The EP comes with a remix from Pleasurekraft. Why did you tap Pleasurekraft for the remix? How does Pleasurekraft’s version complement your own? When Noir signed the track we were thinking about remixers together and Pleasurekraft clearly were our first choice. I am a big fan and follow them for a long time now, especially what they put out on Octopus Records lately is very impressive. They haven’t done remixes in a while and we wanted to have a Techno version of the original – so everything made sense! What the guys did to ‘We Own The Night’ is just amazing and it complements the release perfectly. What about the album artwork. Did you have a hand in that? I like Noir’s dark looking artwork (I guess hence the “Noir”), what are your impressions on the artwork for “We Own The Night”? I actually like that style a lot, too. Noir’s graphic designer did an amazing job here once again. We were of course asked for feedback / approval for the artwork but really didn’t have any changes. The first draft was great already! I think ‘We Own The Night’ is a very profound title and the name alone leaves so much space for imagination. The artwork is the perfect reflection with its faceless head and the hand above. Finally, you have submitted a mixtape for us, which will be an exclusive for Deep House London. Can you tell us a bit about this mix? How did you construct it? Yes and I really enjoyed recording this mix for you. It 100% shows what I love to play at the moment and it could have been one of my club sets for the later hours. It’s a mix of Tech House and Techno with lots of soul and a rather emotional vibe. How my friend Chi Thanh would say: ‚It has a clear order to dance ☺‘ – Thanks for having me, it’s been a pleasure!